Grossmont Hospital has been a flagship of La Mesa since 1955. It opened as a one-building 60,000-square-foot hospital with 100 beds in a new district and a community with growing health needs. More than six decades later, Grossmont is now up to 524 licensed beds and a sprawling complex of buildings. “I hope people can understand what that thing on the hill is and why it’s an important part of the city,” said author and professional historian James D. Newland. Newland had access to Grossmont archives, 12 hours of San Diego County Medical Society oral history interviews, and more than 500 photos from the hospital’s collection. A call for memories from La Mesa residents added a personal touch to the narrative research itself. But even though Newland had dived into East County history before, he found out there were stories surrounding the hospital of which he was unaware. Did you know there was initially a small private hospital called La Mesa Community Hospital that served through the 1920s to 1940s? However, with a population boom and funding difficulties, that hospital couldn’t get its footing. What did succeed was the creation of a brand new public health district: the Grossmont Hospital District. In the book, readers can hear the details of the concentrated campaign and even see what the district campaign postcards looked like in 1951, petitioning voters, “We know you will vote yes. We urge you to enlist the members of your family, your neighbors, your friends to vote YES. Than ask each one to enlist five more votes in the “Yes” column. We need a hospital now, even more than six months ago.” The postcard was signed by Burton Jones, the first president of the Grossmont Hospital Association. Jones and the association were right – East County did vote yes. On Jan. 8, 1952, voters overwhelmingly approved the creation of the district at a final tally of 3,835 to 1,030. The building was up and running in three years, a feat Newland describes as “lightning fast.” Almost as soon as the hospital opened, it was at capacity. Grossmont continued to expand and grow in an attempt to meet its district’s needs. It was the first in San Diego to open a hospice house and the first to purchase a tomography scanner (CAT scan) – a hefty purchase for what was relatively new and unknown technology at the time. 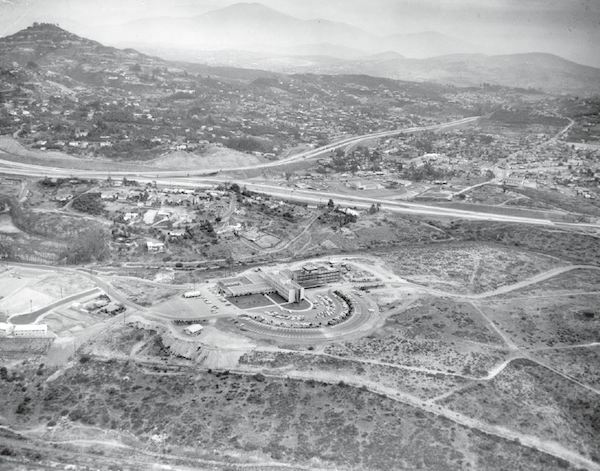 But as Grossmont entered into the 1980s, the cost war for funding began to darken the future of the institution. Newland details the fight for survival Grossmont endured – and how they managed to come out of it through an unprecedented public-private partnership. In 1991, Grossmont entered a lease for hospital operations with the nonprofit Sharp Healthcare. Not that the merger was met with unanimous delight. “Grossmont Hospital: A Legacy of Community Service” details the lawsuit filed by two East County physicians and the ensuing 10 years of community rumblings and opposition. But the suit was finally settled and the protestors demands either were met or died down. Grossmont and Sharp remain joined together with no plans to separate. Newland notes that he endeavored to show both sides in the book, and how they came to a final understanding. 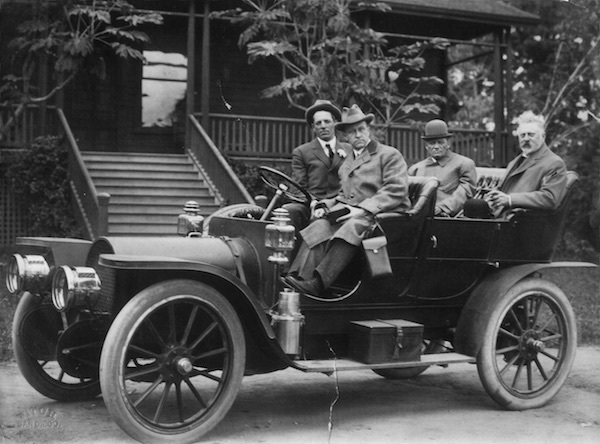 “The unique and groundbreaking public-private partnership, so debated and divisive for many, resulted in a financially stabilized institution that allowed for the continuation of high-quality service all parties desired and fought to accomplish,” Newland wrote. 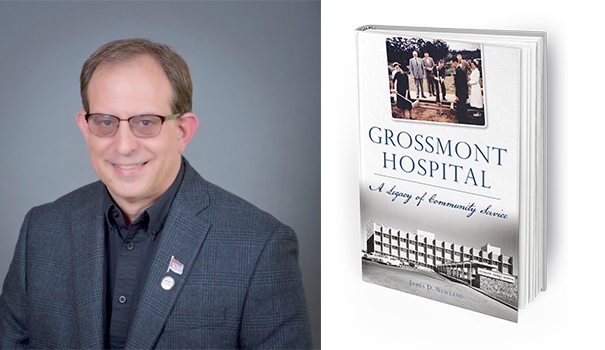 “Grossmont Hospital: A Legacy of Community Service” can be purchased online at Amazon or arcadiapublishing.com. — Freelance writer Joyell Nevins can be reached at joyellc@gmail.com. You can also follow her blog Small World, Big God at swbgblog.wordpress.com. My adopted father Alvin H. Wallace worked maintence & engerning at the hospital when it 1st opened. I remember we would go pick him up from work I was about 5 yrs old. Dr. Soldman was our family physcian. I believe Joseph M. Roberts was the contractor for the hospital.